The Association of Southeast Asian Nations (ASEAN) is the main regional organization in Southeast Asia. Initially founded by the five member-states of Indonesia, Malaysia, the Philippines, Singapore and Thailand on 8 August 1967, it has since expanded to include Brunei, Vietnam, Laos, Myanmar and Cambodia and now encompasses 10 countries of differing ethnicities, political systems, cultures, geographies and economic activities. Originally established as a loose regional framework for confidence building between leaders of the nascent nation-states in Southeast Asia and a mechanism to manage the influence of superpowers in the region, ASEAN has developed over the years to become the primary diplomatic platform for Southeast Asian states to discuss regional political and security cooperation and have further expanded its focus in recent years to include economic and social integration (Vatikiotis 1999). 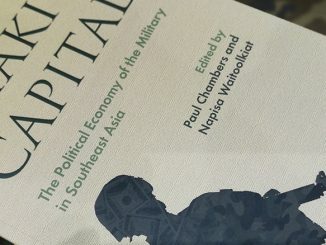 Some scholars and political observers have lauded ASEAN as one of the most successful examples of regionalism and often point out to the absence of any prolonged military conflict or open confrontation between its member states since the end of the Cold War as a testament to ASEAN’s success. 1 In preventing any prolonged armed conflict between its member states for half a century, ASEAN has also been credited with maintaining the regional stability that has allowed the rapid economic development of its member states, especially in the case of the Tiger economies of Indonesia, Malaysia, Singapore, and Thailand. ASEAN has also gone on to achieve some success in regional economic integration projects with a number of agreements signed in principle on the setting up of free trade zones, abolishment of tariffs, product standards and conformity (Severino 2007: 17-24). From its roots as an inward-looking multilateral regional arrangement, ASEAN has since expanded its geographical scope to engage with external powers in the Asia Pacific region through the creation of modalities such as the ASEAN Regional Forum in 1994, ASEAN Plus Three (China, Japan and Republic of Korea) in 1997 and East Asia Summit in 2005 (Prasetyono 2007: 109-116). ASEAN “centrality” in these key regional platforms has afforded it with a voice at the global level (Vejjajiva 2017: 89-102). However, as ASEAN moves into the twenty-first century, global disruptive forces have challenged the integrity and stability of ASEAN and its member states. First of all, the integration of ASEAN economies with the wider Asia-Pacific region has exposed the region to the negative effects of globalization which are keenly felt by all member states. Secondly, the strategic location of ASEAN states means that it will always remain an area of contestation between external major powers (Prasetyono 2007: 109-116; Steinberg 1971). Renewed power rivalry between the US and China has also forced the region to look for new ways to balance their interests (Acharya 2017: 25-38). These challenges would require ASEAN member states to re-orientate their course of actions for closer cooperation in order to act as a counterweight against these external powers attempting to influence events in the region and this ability is invariably tied to the degree of cohesion within ASEAN (Yoshimatsu 2012). Thirdly, the management of intra-regional relations continues to pose a challenge to the cohesiveness of ASEAN. Last but not least, non-traditional security threats unbound by national boundaries such as transnational crimes, terrorism and pandemics have emerged (Caballero-Anthony 2010). Against such a precarious environment, the political leaders in Southeast Asia have become aware that they can no longer pursue their national interests and socio-economic aspirations independently (Prasetyono 2007: 109-116). There is a need for the member states of ASEAN to bolster cooperation and build a more integrated and strategically coherent regional organization that is relevant in the modern era. As ASEAN leaders recognize that geographical proximity and the “ASEAN Way” alone is insufficient to drive the level of regional integration required in the new era, they sought to re-define the region through the creation of an ASEAN Community with the aim of building the existing loose “association of regional countries” into a much closer “ASEAN community of nations” (Moorthy and Benny 2013). This became a concrete political agenda for ASEAN leaders when the ASEAN Concord II was adopted on 7 October 2003 with the aim to establish a robust ASEAN Community by 2020. Since then, ASEAN leaders have repeatedly affirmed this agenda as the region’s highest priority (Oba 2014). 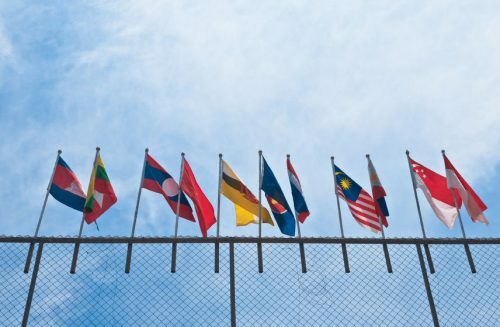 In their attempt to build a strong ASEAN community, ASEAN political elites have recognized that the inculcation of a collective ASEAN identity is a critical component. It is perceived that only through the presence of a collective ASEAN identity would the region move beyond mere institutional integration and imbue a genuine sense of regional belonging and common destiny that will bring to fruition the aspirations as spelt out in the ASEAN Charter. This led to the adoption of the motto, “One Vision, One Identity, One Community”, at the eleventh ASEAN Summit in December 2005, which signaled a realization by the ASEAN political leaders that a true ASEAN community must be a community of its people based on common ASEAN values and a collective ASEAN identity. Since then, efforts have been made by the ASEAN member states to cultivate a collective ASEAN identity by fostering a sentiment of “we feeling” which will inform regionalism efforts and facilitate greater cooperation between Southeast Asians in the political, security, economic and cultural arena (Murti 2016). Despite these efforts, ASEAN has thus far failed to develop a degree of “ASEAN consciousness” in both its bureaucrats and citizens that will nudge them to think of themselves as a member of the wider ASEAN body (Denoon and Colbert 1998-1999). There is no real sense of regional belonging or sentiments of “we-feeling” among the political elites and populace of Southeast Asia to the ASEAN Identity and the idea of ASEAN Community rarely motivate their actions (Narine 2002). Instead, self-interest and functional considerations continue to drive the policy decisions of the bureaucrats of ASEAN (Hund 2010). The political elites of ASEAN also continue to look at their neighbouring countries with much suspicion (ibid.). 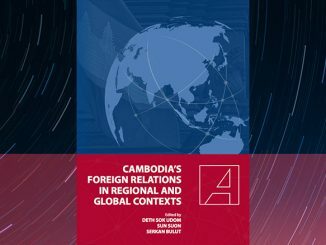 The dispute between Cambodia and Thailand over the ownership of the Preah Vihear border territory which escalated into an armed conflict in 2008 serves as an illustrative example of the weakness of ASEAN solidarity, not to mention the strength of ASEAN unity (Weatherbee 2012: 3-22). 2 Citizens of ASEAN continue to remain largely uninterested and ignorant of the lives, culture and economy of their fellow counterparts in other member states (Heng 2015). An ASEAN-wide survey carried out by Roberts in 2007 revealed a high level of trust deficit among ASEAN elites and citizens (Roberts 2007). Thus, as aptly described by Jones and Smith, ASEAN remains largely an “imitation community” that are “rhetorical shells and provides form but no substance to genuine regional integration” (Jones and Smith 2002). Khoo further argues that ASEAN continues to be an “intergovernmental neighbourhood watch group” that is still far off from the ASEAN Community it envisions (Khoo 2000). The prospects for the fulfilment of the motto of “One Vision, One Community, One Identity” has thus far remain unpromising and has yet to move beyond being mere political slogans. As explained, the creation of an ASEAN community and a collective ASEAN identity still remains an unfulfilled wish. Despite the immense amount of scholarly work carried out on ASEAN, existing literature seems unable to provide a satisfactory answer to this predicament. Realist interpretations continue to dominate the study of ASEAN. Most literature focuses on the security and economic dimension of ASEAN, which despite its importance, is inadequate in the discussion of a formation of a genuine regional community anchored on a collective identity. Scholars such as Emmerson (2005) and Chang (2016) have tended to look at ASEAN as primarily a security community in which they posited that ASEAN is essentially made up of a group of sovereign states that have a commitment to abstain from the use of force against each other. Their works study ASEAN mainly from a functional perspective and measure the robustness of ASEAN based on the strength of its collectively held norms of non-use of force and non-intervention principles (Sharpe 2003). However, as countered by Puchala (Puchala 1984: 186-187), a genuine community will require not just instrumental contracts but also social relationship. Scholars inquiring along this line of argument also based their work on the premise that world politics is essentially a competition for power and they are inclined to explain the fragility of regional cooperation and identity as a natural outcome of rational, self-interested state behavior. Thus, they generally cast doubts for any sovereign states to be genuinely interested in the building of a shared community that is anchored on “we-feelings”. Any form of regional community to the realist would only exist in form but not in essence. However, these theses that have utilized the analytical frameworks of international relations theories often exaggerate the difficulty in building a regional community as a natural outcome of rational self-interest among states (Kim 2011; Yoshimatsu 2016). They neglect the possible influence of ideational elements on state behavior which is critical to the formation of any collective community. Consequently, an unsatisfactory rejection on the possibility of the formation of a genuine ASEAN community is often made. 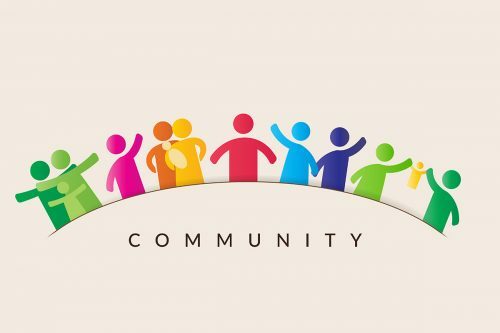 According to Karl W. Deutsch, the building of a community occurs only when a group of people develop common values to the point whereby a sense of “we feeling” and solidarity is shared among its members (Deutsch et al, 1957). In his view, before reaching the state of integration, the formation of a common identity must first be attained before intensive cooperation among states can begin. Such integration would need to make people feel that they belong to a shared community and that they are all fellow stakeholders with a common destiny (ibid.). The works of Caporaso and Kim (2009); Hooghe and Marks (2004); Mayer and Palmowski (2004); similarly suggests that the existence of a collective identity and “we-feeling” is essential in working as a catalyst for the regional integration process. A few constructivist interpretations have surfaced which attempt to fill this gap. For instance, Acharya’s work on normative regionalism argues that a collective identity has been successfully constructed among the political elites of Southeast Asian states through intense interaction and socialization (Acharya 2002). He proposed to view ASEAN as a pluralistic security community (PSC) that has allowed for the management of conflict in the region without the use of force through a process of elite socialization of shared ASEAN norms (Acharya 2005). These norms are posited to have constitutive effects which inform the regional behavior and foreign policy considerations of member states, thereby serving as the foundation for an ASEAN regional identity. 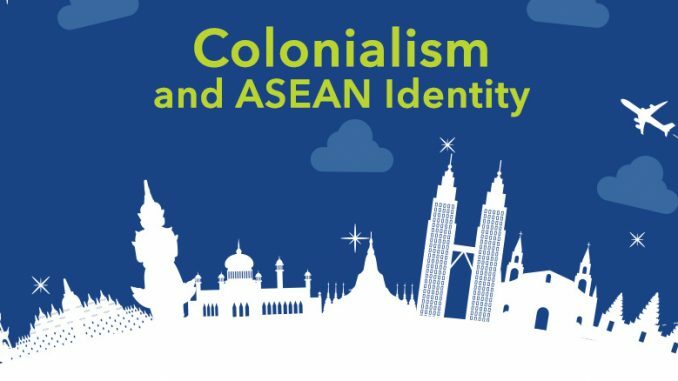 Acharya argues that this is an authentic identity that the ASEAN ruling elite has consciously constructed and build-on since ASEAN’s establishment and has resulted in a cognitive imagining of Southeast Asia as a genuine ASEAN community (ibid.). However, Acharya’s works have thus far only focused on elite-level socialization in examining the prospects for community building and have yet to discuss the role and interaction of the general populace. A true ASEAN community cannot be built based on elite-level interactions and belief alone. ASEAN leaders themselves have acknowledged the need to develop a sense of regional belonging among the general population of ASEAN and have taken steps to imbue a sense of collective identity (Caballero-Anthony 2005). In addition, his evidence for the existence of a collective identity remains focused on functional aspects, namely, member states’ adherence to ASEAN norms such as the principle of non-interference and absolute respect for national sovereignty (Acharya 2005). However, norm compliance of member states does not adequately prove that a genuine sense of “we-feeling” and collective identity exists (Jones and Smith 2007). Indeed, if Acharya’s claim that an collective identity has been successfully developed among the political elites of ASEAN was true, one may question why recent events have pointed out to an increasing lack of regional cohesiveness and why the political elites of ASEAN have made repeated attempts to highlight the urgency to create an ASEAN community and identity if it is already a given? 3 Jones and Smith (2002) would not have continued to dismiss ASEAN community as an imitation community with no substance. A few works by Hund (2010) and Narine (2004) have posited the persistence of a level of uncertainty among the political elites of ASEAN in their domestic political legitimacy as a key variable in their reluctance to create a unified ASEAN community and collective ASEAN identity. 4 They argue that an inherent tension between state sovereignty and regionalism exists as political elites are more concerned with the building of a stable, legitimate sovereign state as a vital prerequisite before the building of a strong regional community and identity (Hund 2010). In a somewhat contradictory manner, “states must first have a firm grip on the levers of sovereignty before they can loosen their hold” (Narine 2004). However, these works stopped short of explaining the origin of their fixation on the Westphalian principles of state sovereignty and their national boundaries. There have also been historical evidences which show that states in Southeast Asian in the pre-colonial era did not see themselves as distinct entities that are based on exclusive identity. Detractors also often point out to the region’s wide-ranging diversity as a main reason for the failure of regionalism. ASEAN is ultimately made up of ten diverse countries with very different political system, geography, culture, religion, economy and vulnerabilities (Roberts 2011). In their view, Southeast Asia is a modern, artificial construct that has no essentialist-reductivist basis to it and any attempts at regional identity building would only flounder in the face of intra-regional diversity and conflicts (Kurlantzick 2012). However, ASEAN’s regional identity, although not a cultural or geographical given, can be socially constructed. As argued by Donald J. Puchala (1984: 186-187), a community does not only include commonality in cultural and physical attributes but also requires a sense of mutual responsiveness and belonging which its members self-consciously identify themselves as associates of the grouping. Similar to Benedict Anderson’s imagined community of a nation; a regional identity can also be imagined (Anderson 1983). With conscious efforts, it is possible to shape the “worldview” of ASEAN citizens and orientate themselves towards a new reality in which they believe in a shared sense of solidarity, belonging and common destiny. A collective worldview can act as an “emotional glue” that binds the citizens of ASEAN together with a resonant common interpretation of the past, present, and future of the region. Such endeavors can be based on regional narratives involving judicious use of cultural values and markers that create a perception of the commonality of the region as a whole. Moreover, it is unfair to say that ASEAN has no cultural and geographical foundation for the creation of a shared community and collective identity. Historical works have shown that forms of regional linkages had already existed prior to the advent of colonialism (Steinberg 1971). As existing literature have already been inundated by realist interpretations that mainly focus on the political and economic dimensions of ASEAN’s integration, this article will venture to shift away from this direction and take a constructivist approach that emphasizes on the development of a collective identity that is based on a sentiment of “we-feeling” as an essential component in the building of a resilient ASEAN community. It will follow McMillan and Chavis’s definition of a sense of community as “a feeling that members have of belonging, a feeling that members matter to one another and to the group, and a shared faith that members’ needs will be met through their commitment to be together” and Henri Tajfel’s definition of identity as ”part of an individual’s self-concept which derives from his knowledge of his membership in a social group (or groups) together with the value and emotional significance attached to that membership’’ (McMillan and Chavis 1986; Tajfel 1981). This article will also follow Benedict Anderson’s line of argument and work with the premise that a common identity can be imagined despite the presence of wide-ranging diversity (Anderson 1983). It will also argue that identities can be overlapping and not mutually exclusive and that an individual can be both a citizen of a Southeast Asian state and also sees himself as a fully participatory member of the ASEAN community. 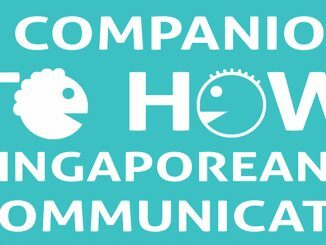 In an attempt to construct a novel explanation for the failure of continuing efforts in the creation of a shared ASEAN Community and collective ASEAN Identity as espoused in the “One Vision, One Identity, One Community” motto of ASEAN, this article will explore the complex interaction of historical forces that has led to the creation of “mental barriers” which acts as impediments to the formation of a collective ASEAN identity. In particular, this article will discuss how colonialism has defined national identity based on exclusivity and erased any memory of pre-colonial affinities and collective past that could have served as the foundation of a shared regional identity. 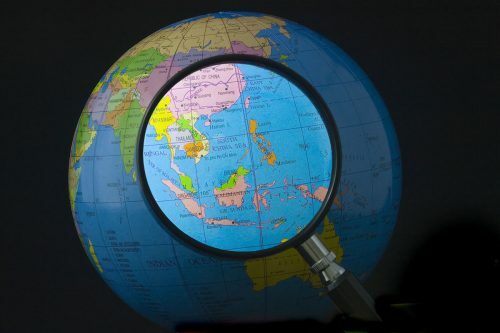 The article argues that as national interests and an exclusive worldview predominates in ASEAN, it remains an arduous task for the generation of the kind of “we-feeling” that is required to fulfill the goals as articulated in the ASEAN Vision 2020. The article would further propose that the “ASEAN Identity” and “ASEAN Community” will continue to exist only in form but not in substance if a “mental leap” to re-imagine the region is not taken by the political elites and people of ASEAN. A genuine shared ASEAN community and collective ASEAN identity is defined in this article as “a state of mind and emotions of both political elites and individual citizens in relating to their fellow counterparts both rationally and emotionally that results in them taking into account the ‘common regional good’ and caring for the well-being of their fellow citizens”. However, it is not the intention of this article to argue for the utility and benefits for the creation of a shared ASEAN Community and collective ASEAN identity. Also, not discussed in this thesis are the legal frameworks and economic union of ASEAN that are often posited as practical challenges to the regional integration project. Rather, this article only intends to problematize such a venture in the cognitive and emotional dimension. It will however make a brief attempt to uncover possible spaces for the formation of a collective ASEAN identity. 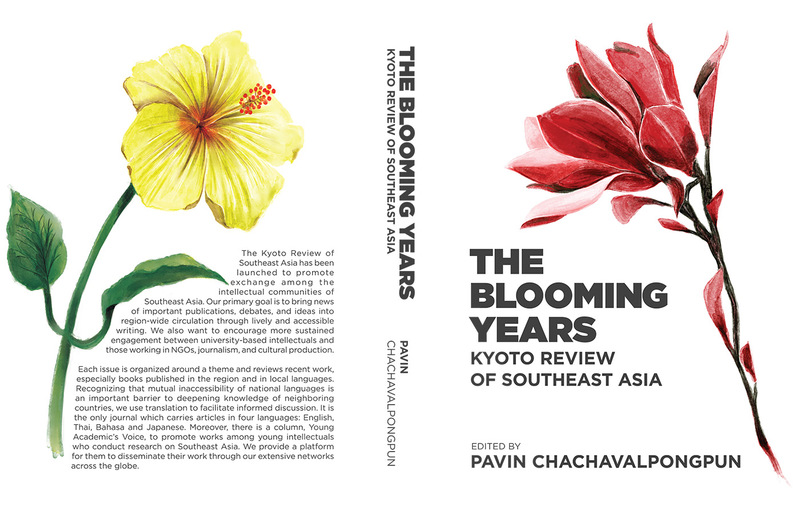 Unlike the modern map of Southeast Asia with clearly delineated territorial boundaries and constituent national identities, pre-colonial Southeast Asia was a porous, poly-nuclear world of overlapping borders and cultural linkages (Chaudhuri 1990). Located at the crossroad between China and India, the region has historically been exposed to a constant stream of external cultural and political influence. With over four hundred different ethno-religious groups, pre-colonial Southeast Asia was a kaleidoscopic world of cultural and linguistic heterogeneity (Andaya and Andaya 2015). Historical evidences indicate that the pre-colonial Southeast Asian possessed a worldview that did not conform to the Westphalian notion of territorial sovereignty. For instance, in the settlement of the 17th century Vietnamese-Laotian war, the Le emperor of Vietnam and the king of Laos came to an ceasefire agreement that dictated every settler in the upper Mekong who lived in a house built on stilts as owing their fealty to Laos, while those whose house had earthen floors owing their fealty to Vietnam (Steinberg 1971). Early Southeast Asian subjects were extremely mobile and did not owe their allegiance to any fixed locality. A map of Asia by Sebastian Munster dated in 1598 further illustrate the absence of territorial boundaries across the entire Southeast Asia region and depicted the region as a continuum in which its inhabitants perceived it as a shared common space (Munster 1598). Unrestricted by any form of political borders or allegiance to a single locality, Southeast Asians constantly moved across the region. An existing legacy of such a pre-colonial past can be found in the case of the sea-faring nomads of Sulawesi, termed as the Bajau Laut, who have stubbornly repudiated any form of modern citizenship up till this day and rejects the modern national boundaries of Southeast Asian states which majority of its citizens have accepted as a given reality. Instead, they regard their “Bajau homeland” as one that extends far from the Sulawesi Sea to the Palawan of the Philippines and continue to reside and ply their trade across these waters (Morgan 2018). The Dayaks of Borneo have similarly refuse to accept the modern day national boundaries imposed upon them and continue to straddle the borders of Kalimantan (Indonesia) and Sarawak (Malaysia) in their everyday lives (Economic Research Institute for ASEAN and East Asia 2014, 209-231). K.N Chaudhuri’s (1990) research shows that pre-colonial Southeast Asia was a multi-polar world with overlapping spheres of geographic, economic and political system all co-existing simultaneously. Under such a shared, borderless geographical space, different ethnic groups and polities intersected and commingled to create extensive, regularized patterns of interactions. Over time, multiple networks of inter-related, mutually dependent communities were formed across the region with numerous linkages of affinities forged through maritime trade, migration and intermarriages that cuts across ethnic, cultural and political affiliations (ibid.). Evidence of these pre-colonial relationships can be observed in the recurring ‘cultural wars’ in which cultural icons, artefacts, and cuisines are frequently contested and claimed by multiple nation-states. For instance, the Indonesians, Malaysians and Singaporeans have made repeated attempts to claim ownership over the shared heritage of the textile art of ‘batik’, shadow puppet theatre termed as the ‘wayang kulit’ and traditional musical instruments such as the ‘gamelan’ and ‘angklung’ (Chong 2012). Cambodia and Thailand continue to lock horns over the ownership of the Preah Vihear temple and the ‘jeeb dance’ gesture while Malaysia and Singapore continue to see spats over shared cuisines such as the noodle dish laksa and the meat stew bak kut teh (ibid.). 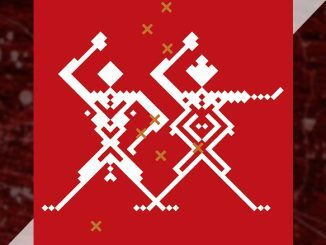 These ‘cultural contestations’ exist precisely because genuine cultural linkages and interactions that transcend modern day national boundaries have existed prior to colonialism. As Farish Noor (2016) argued, Southeast Asia states shares many common cultural heritage that dates back to the pre-colonial Hindu-Buddhist era. Attempts made by the early nationalist leaders of Malaysia and Indonesia to create a Pan-Malay world lend further credence to the existence of long and deep affinities in the region (Mcintyre 1973). Thus, the history of a single nation-state in Southeast Asia cannot be explained without invariably tying it up to the histories of other nation-states in the region. For instance, Malaysia’s history cannot be explained in a manner that disregards the histories of the neighboring countries of Singapore, Thailand and Indonesia. 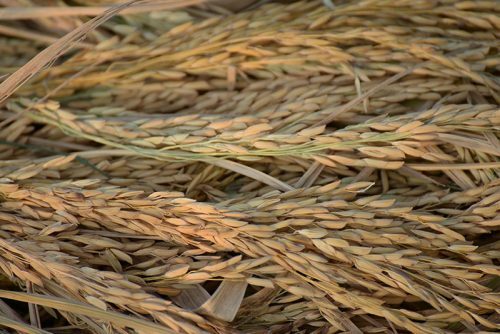 It was under such a fluid environment that the identities of pre-colonial Southeast Asians were multi-faceted and organic. Multiple logics of identity-construction was at work where identities, loyalty and sense of belonging were not fixed to a certain locality but was often a result of the interaction between the circumstances of political geography and local patron-client relations (Chaudhuri 1990). It was a living reality for each individual Southeast Asian living in the pre-colonial era to possess multiple identities and having a sense of belonging that was not solely determined by one’s place of birth (Economic Research Institute for ASEAN and East Asia 2014: 209-231). There was a clear absence of any rigid form of political and ethnic loyalties in the pre-colonial world of Southeast Asia. It was only after colonial rule that Southeast Asians inherited a sense of modern citizenship with their identity being fixed to a single sovereignty within well-defined territories (Steinberg 1971). Here we may consider the story of Hang Tuah who did not see any contradictions with introducing himself as both a subject-servant of the Sultan of Melaka and an emissary of Raja Keling of Kalinga at the same time (Ahmad 1965). Despite its nature as a work of fiction, it is based on historical realities and inform us on how identities were understood and framed as transient and dynamic during the pre-colonial era. While the boundaries of Southeast Asia, both epistemic and geographic, were inchoate, regional identity did exist in the region in a pre-modern sense. Even though early Southeast Asian most probably did not share a sense of solidarity as a collective community, it would be safe to say that they would have perceived themselves as fellow inhabitants of a common world. Such a worldview was to undergo a massive transformation during colonial rule. Colonial rule was to replace the pre-existing indigenous worldviews and cosmology by introducing to an another-wise borderless, multi-faceted and fluid world of Southeast Asia, the divisive language game of national sovereignty, racial categories and exclusive identity. Motivated by a need for raw materials and new markets to sustain the industrial development of their metropoles, the European powers embarked on a series of colonizing missions between the 17th to 19th century in Southeast Asia (Christie 1996). By the end of the 19th century, a number of imperial colonies was established which placed Southeast Asia under the firm control of the European powers. Southeast Asia was to be re-modelled as an economic space primarily ruled by the logics of rationalism and instrumentalism. As the European colonizers were anxious to safeguard their economic interest and avoid any possible territorial conflicts with their counterparts, they saw a need to demarcate well-defined political boundaries to minimize any ambiguity over the extent of their rule. 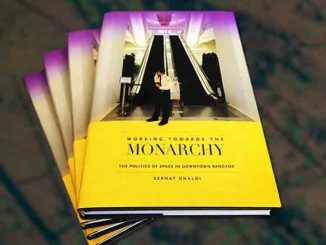 These actions were in a large part influenced by the intense rivalry that were present between the British, Dutch and Spanish empires during the colonial era which compelled them to clearly mark out different spheres of imperial colonial control. The demarcation of well-defined political boundaries by the colonial powers effectively divided Southeast Asia into neat blocks of compartmentalized colonies. An otherwise borderless Southeast Asia was thus separated into clearly delineated “homogenous” political entities which not only masked the numerous internal differences and diversity that runs deep beneath its surface but also cut off most of the pre-colonial cultural and social linkages that had existed prior between communities that now belonged to their respective colonies, slowly erasing them from the memory of its inhabitants (Kingsbury 2011). The colonial rulers proceeded to alter the epistemology and discourse of statecraft and international relations in Southeast Asia. A political vocabulary underpinned by the logics of geopolitical division, territoriality, ethnic-cultural differences and national interest became the dominant language of governmentality in the region. One example was how the Anglo-Dutch Treaty of 1824, which dismembered the contiguous ‘Malay’ world encompassing Malaya Peninsular and Sumatra Islands, began to use divisive vocabulary that emphasized on the sanctity of national sovereignty and territorial boundaries (The Edinburgh Annual Register 1825). Unlike during the pre-colonial era, the movements of Southeast Asians were subsequently restricted within the confines of their respective colonial empires. From this point onwards, a subject under the British colonial rule would only be allowed to travel within the dominions of the British Empire (A Collection of Statutes Relating to the East India Company 1810). The colonial rulers also normalized the use of a common language for administrative communication such as the English language in the British East Indies, Vietnamese in French Indochina and Bama in Burma (Reid 2015). In order to facilitate its economic and resource exploitation, infrastructure networks were further expanded by the colonial rulers to connect both people and territories within their colonial states (ibid.). While these measures contributed to a greater sense of commonality and collective identity within the colonial states and allow its inhabitants to imagine themselves as part of an “imagined” community, they were confined within the boundaries drawn-up by their colonial masters. The inhabitants of Southeast Asia were henceforth conditioned to identify themselves as a “colonial subjects” of a specific polity or an “imagined” nation within its constituent territorial boundaries. Pre-colonial historical, cultural and social linkages that had existed prior to colonial rule were eventually replaced by a “neater” range of political allegiance in Southeast Asia. For instance, the inhabitants of the Indonesian archipelago began to see themselves as Dutch subjects, Malaya and Burma as British subjects and Indochinese as French subjects. As a result, Southeast Asians began to associate themselves economically, socially and cultural more with their respective Europe metropoles than with their regional neighbours (Roberts 2011). As decades of imposed isolation occur between the colonial states, the social and economic life of its inhabitants became further and further separated from their regional counterparts even though they were in close geographical proximity. Eventually, this eroded the sense of shared consciousness and identity that had developed in Southeast Asia decades prior to colonial rule and conditioned the Southeast Asians to see themselves as citizens of different, distinct nations and communities that were exclusive in nature. By the end of colonial rule, any early semblance of a regional identity had become blurred and forgotten as nationalism developed (Steinberg 1971). Within the colonies themselves, the colonial rulers also imported their Social Darwinism beliefs and instituted a series of divisive policies and social structures which developed an “othering” mindset among its colonial subjects. For instance, “racialised colonial capitalism” was implemented across the colonies in which a racialized hierarchy was introduced that stratified ethnic communities into their respective social and economic roles (Noor 2106). One example was the situation in British Malaya whereby the Chinese were mostly relegated to the tin-mining industry, Indian to hard labour and money-lending business and Malays to areas of agricultural production. To ease this process, different ethnicities were forcefully amalgamated together into convenient, methodical racial categories. These measures were implemented to create an efficient system for maximum economic exploitation but also manipulated to legitimize colonialism as a civilizing mission that sought to better the lives of its colonised subjects. The colonial powers also often chose to cultivate special relationships with selected ethnic minorities groups to maintain their control over the majority ethnic groups (Christie 1996). This further divided the ethnic communities as seeds of discords were sowed through perception of unequal treatment. As a result of these divisive colonial policies, ethnic identities and differences were artificially accentuated which created an outlook of dichotomized, binary identities anchored by an “othering” mindset of “Native vs. Aliens” and “Race vs. Race” (Hirschman 1995). 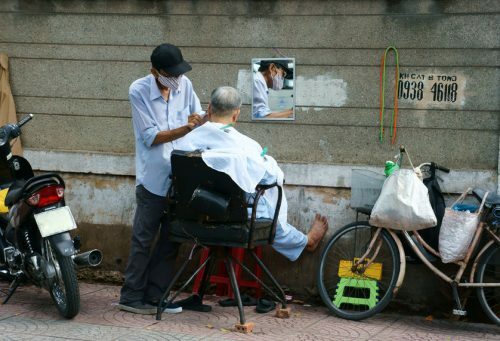 By the end of colonial rule, the once multi-faceted and fluid identity of Southeast Asian has been replaced with institutionalized, singular identities narrowly based on political allegiance to a nation-state and social allegiance to an ethnic community. Colonial rule left behind a language game of totalized identities that is defined by exclusivity and oppositional in nature. 5 Differences rather than commonality now preoccupy the minds of Southeast Asian as they seek to define their own identity. In the mental map of Southeast Asians, the lines of division that had been drawn in the boardrooms of the colonial companies have become both a political and social reality. These would lay the groundwork for political identities to be based on exclusivity and complicate the quest for nation-building and regionalism after independence was achieved by the colonial states. The same language games played by the colonial functionaries continue to be played by the political elites of Southeast Asia which informs present-day sensibilities in the statecraft, economy and international relations of the region. These inherited colonial legacies would have serious implications on how international relations are conducted by the political elites of Southeast Asia and act as impediments to regional integration efforts. Like their colonial rulers, the political elites continue to perceive the region as primarily an economic space and securitized region. Any form of diplomatic contact was perceived as instrumentalist and economical in nature. 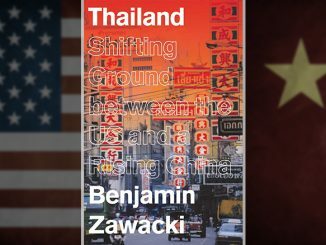 It is this continuity in the colonial language game that has influenced the Southeast Asian states to be extremely reluctant to give up any bits of their sovereignty. The political boundaries as delineated and determined by colonial powers remains jealously guarded and maintained by the post-independence political elites. The fact that the principle of non-interference is upheld as the working principle of ASEAN since its founding is an indication of such a mindset. Southeast Asian political elites have likewise inherited the legacy of mutual mistrust and egoistic interests which impedes the formation of a genuine, shared community. For instance, Singapore remains plagued by a siege mentality that views its neighbouring countries, Indonesia and Malaysia, with much suspicion and this mentality informs its diplomacy approaches and military doctrines in the region (Rahim 2009). How do we explain ASEAN then? ASEAN can be argued to be more of a “community of convenience” that acts as a functional tool for political elites rather than a genuine community of shared vision and collective identity. Southeast Asian countries do not identify with each other in the same manner as articulated in the ASEAN Vision. Instead, they would recognize ASEAN as purely a practical instrument with pragmatic functions. An evidence for such an argument can be found in the recent invitation made by Indonesian President Joko Widodo for Australia to become a full member of ASEAN (Agence France-Presse 2018). Similarly in May 2017, Philippine President Rodrigo Duterte advocated for the inclusion of Mongolia and Turkey in ASEAN (Koi 2017). These statements serve as an indicator that ASEAN is not united by any geographical or historical linkages but rather material and political-economic interests, whereas Southeast Asia remains a region where cultures, histories, language and ethnic identities overlap and cross-fertilize one another. Under such an arrangement, it is not surprising that commonalities between states are often only highlighted wherever mutual benefit exists (Jones 2015). From its inception, ASEAN has consistently demonstrated a strong disposition against any supranational tendency (Jones and Smith 2007). ASEAN itself was formed out of a common fear of being dragged into the Cold War conflict and not an attempt at the revival of pre-colonial cultural linkages (Vatikiotis 1999). Thus, ASEAN’s main function was to assist the nascent nation-states in promoting, enhancing and preserving the political legitimacy of its government and safeguarding them from any external threats that may de-stabilize their sovereignty (Noor 2017, 9-15). At its formation, none of the member states had envisioned the creation of any collective community that will require them to give up parts of their sovereignty (ibid.). From these, it is clear that the sanctity of national sovereignty and principles of non-interference as inherited under colonial rule continues to inform diplomatic relations in the region and has become the guiding principle of ASEAN. As a result, there was never any real interest in the creation of the “we-feeling” type of community to begin with. This explains why ASEAN leaders have signed communiqué and declarations one after another but has yet to have undertaken any genuine, concerted effort in moving towards the goal of creating a collective ASEAN identity. As explained, the political elites of ASEAN continue to be trapped as highly sovereignty-conscious actors while at the same time espousing the contradictory goals of regional integration and a shared identity. “ASEAN shall have, by the year 2020, established a peaceful and stable Southeast Asia where each nation is at peace with itself and where the causes for conflict have been eliminated, through abiding respect for justice and the rule of law and through the strengthening of national and regional resilience.” (Association of Southeast Asian Nation, 2018). The language at play highlights the paramount status of national sovereignty and interest before regional solidarity in the eyes of the political elites of ASEAN. Regional integration is therefore mainly seen as a mean to allow the nation-state of Southeast Asia to obtain political and economic objectives that it is unable to achieve alone (Kim 2011). This is also evident that from the fact that the ASEAN Economic Community remains the most well-funded pillar of ASEAN Vision 2020 while the least attention and resources are directed to the ASEAN Socio-Cultural Community pillar. As Rodolfo C. Severino notes, ‘the Socio-Cultural Community was apparently brought in almost as an afterthought, at the Philippines’ suggestion, in the interest of rounding out the concept of a community’ (Severino 2007: 17-24) . In the ASEAN Vision 2020 declaration, the ASEAN leaders have indicated a desire for “an ASEAN community conscious of its ties of history, aware of its cultural heritage and bound by a common regional identity.” (Association of Southeast Asian Nation, 2018). The motto “One Vision, One Identity, One Community” has since become an often-repeated slogan of the organization that appears in almost every ASEAN official statements and publications. However, actions by ASEAN member states that acts in contradictions to the fulfillment of such goals are aplenty. Tobias Nischalke’s (2002) empirical analysis of ASEAN shows that ASEAN’s member states have exhibited very little mutual identification with each other in their policy behavior from the late 1980s to the late 1990s when confronted with crucial regional security problems. Jones and Smith’s work (2007) also argues that despite the proliferation of declaration and rhetoric in deepening the ASEAN identity and formation of ASEAN community, these statements have had no observable impact on the policy decision making of ASEAN members. The lack of regional cohesion among the ASEAN member states to formulate a coordinated and coherent response against China both in the South China Sea dispute and the Lancang-Mekong hydropower dam project are further examples of how national interest continues to be prioritized over regional interest (Biba 2012). In those scenarios, member states that are keen to maintain a close political and economic linkage with China are reluctant to agree on a common stance that is beneficial to the region out of fear that it may risk their diplomatic relations with China (Yoshimatsu 2012). In essence, ASEAN is an attempt by political elites to re-imagine the region in form but not in substance. ASEAN’s behavior have shown not to align with its goals of the building of a collective “ASEAN Identity” as constantly articulated. Its members have remained largely indifferent to the plight of its counterparts except when it infringes on their national interest and sovereignty. Instead, the continued preoccupation over state sovereignty by the political elites inhibits the formation of a genuine ASEAN community. The roots for regionalism has always been shallow and are mainly driven by pragmatic political and economic considerations. Regional integration is largely seen as a mean to allow its respective member states to obtain greater political and economic clout through resources pooling wherever mutual, practical benefit exists so as to secure their national sovereignty (Kim 2011). This may explain why the collective “ASEAN Identity” as envisioned remains vague and poorly defined despite the repeated rhetoric of solidarity and cooperation in the official statements of ASEAN’s political elites (Jones 2004). Despite their stated intention, it was most probably never the intent of the political elites to build a regional project that erodes national boundaries and imagine itself as a region of collective past, present and future. National histories across the region are often written and retold in isolation, often with their independence struggle as the pre-given starting point and the respective nation-states as the main actor in the foreground (Noor 2017: 9-15). All of the national historical narratives taught in Southeast Asia accept its modern, post-colonial political boundaries as a given reality and impressed upon its readers a false perception of their nation-state as a fixed entity with national characteristics and cultural heritage that are exclusive and distinctive from its neighbours since time immemorial (Noor 2015). There is little mention of a dynamic, borderless pre-colonial Southeast Asia that could explain the many similarities in cultural heritage, values and belief systems of Southeast Asians. 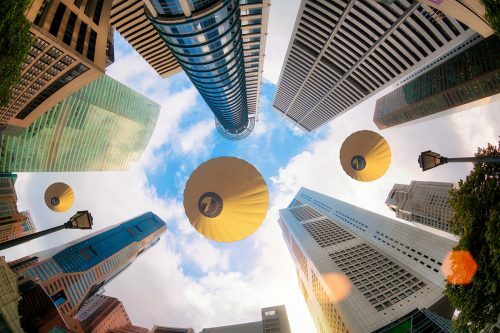 An example of this is how Singapore’s national history is often re-told with the ‘founding of modern Singapore’ in 1819 by Sir Stamford Raffles as the starting point. 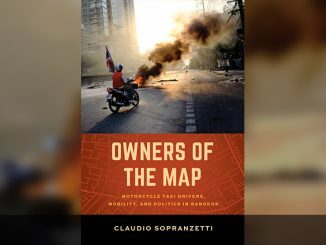 As Farish Noor points out, “there is no common history textbook that captures the manifold overlaps and continuities in Southeast Asian history, or which reflects the manner in which many communities that exist in the region today are really the net result of centuries of intermingling, overlapping, and hybridity.” (ibid.). There is perhaps a reason for this. These national histories are often plagued with overlapping claims and demands that are contradictory to the dominant narrative employed to give shape to their national identity. In worst case scenarios, histories of pre-colonial wars and conflicts between ancient kingdoms are abused to foster a sense of national identity based on antagonistic terms, such as in the case of Thailand’s history textbook that depicts the neighbouring countries of Burma and Cambodia as enemies of Siam (taught as a precursor to the Kingdom of Thailand) in order to perpetuate a collective perception of external threat in which all Thai has to unite against (Aguilar Jr 2017). This continuity in oppositional dialectics from the colonial era and the unconditional acceptance of inherited political borders as a given reality hinders the re-imagining of the region as a collective community with a shared past, present and future. It prevents Southeast Asians from subscribing to multiple identities of being both a citizen of their nation and a member of the ASEAN Community. 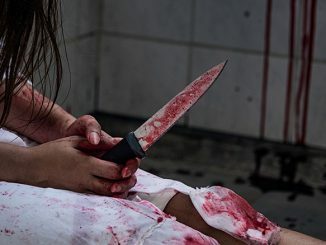 The result is a highly apathetic population who are more concerned about what happens within their country but remain unconnected and largely unaware of the region. Citizens of ASEAN have very little knowledge about their neighbouring countries, not to mention fellow member states that are located further away (Thuzar 2015). Few individuals in Southeast Asia would identify themselves with as an ASEAN citizen and share very little affinity with their counterparts in other member states. There is a clear absence of “we-ness” among the people of ASEAN as any memories of a pre-colonial Southeast Asia linked by commerce, interdependency and a sense of shared space have become largely forgotten (Noor 2017: 9-15). A study by Azmawati and Quayle (2017) shows that even at the university level, students in Southeast Asia are often very unfamiliar with the organization, goals and progress of the ASEAN Community. Further research carried out by Christopher Roberts between 2004 and 2007 also demonstrates that a high level of distrust exists between the citizens and governments of ASEAN. 8 Therefore, Allan Collins is most probably right in arguing that ASEAN exists as a “security regime” whereby states interact through norms of behavior primarily to achieve their political and economic goals (Collins 2007). There is a lack of shared sentiments of solidarity or “we-feeling and the ground realities have proven to be at odds with the vision as spelt out in ASEAN vision 2020. ASEAN citizens will not reach the level of trust and solidarity required for the formation of an “ASEAN Community” if they continue to see each other in adversarial terms. The “One ASEAN” identity will continue to be nothing more than a political slogan. ASEAN today is in a state of an identity crisis. The organization creates a vision for regional solidarity yet its people remain trapped in an inherited language game that has defined national identity based on exclusivity and a worldview that accept modern state boundaries as a given political reality. Any memory of pre-colonial affinities and collective past that could have formed the foundation of a regional identity has also been eroded (Noor 2014). As national interests and identities predominate in ASEAN, it has become an arduous task for the generation of the kind of “we-feeling” that is required for the building of a regional community as articulated in the ASEAN Vision 2020. Consequently, the ASEAN Community and ASEAN Identity only exist in form but not in substance. Are all hopes lost in the development of a collective ASEAN identity in support of the formation of a genuine ASEAN Community? Not necessarily so. However, for such a mammoth undertaking to take place, a significant cognitive transition must be made by the people of ASEAN that exceed the confines of temporality and space to re-imagine the region. A sort of a “mental leap” must be taken. This will require both the political elites and citizens of ASEAN to break away from the inherited baggage of colonialism and abandon the language game of fixed, stable and exclusive identities. An awareness and internalization of the logic that identities can be overlapping and not mutually exclusive must be made. While there is no doubt that national belonging will remain far more salient to the Southeast Asian’s sense of self as they will find it difficult to escape from the well-embedded consciousness of the nation-states, they can however become aware of the possibilities of overlapping identities that directs them to think of themselves not only a citizen of their respective nation-states but also an ASEAN citizen who sees the entire Southeast Asia region as a common home. A native of the Mandailing community living in Sumatra should be able to identify himself/herself as an ethnic Mandailing, an Indonesian and a contributing ASEAN member all at once. 9 For such a venture, it may be instructive to learn from the “mental maps” of the indigenous communities such as the Bajao of the Sulu Seas or the Dayaks of Borneo who have stubbornly insisted on the rejection of fixed political geography or exclusive national identities as imposed by distant power centers. It will also be useful to look at the genuine social bonding and connections that exist along the border zones of places such as Southern Thailand whose inhabitants’ life experience are based on the ground realities of cross-border (Thailand and Malaysia) commerce, migration, settlement and marriages (Noor 2017, 9-15). As a starting point, the citizens of ASEAN will need to depart from their present understanding of the region’s history and develop a greater awareness of the close historical and cultural linkages that exist between them and their counterparts in other member states. They must be made aware of the artificiality of modern-day national boundaries and accept that elements of commonality in history, culture, ethnicity and geographies exists in the region. In addition, there is a need to refrain from the selective appropriation of history to make nationalistic claims. Rather than appropriating shared elements of history, language and material culture as “theirs” in a nationalistic manner, Southeast Asians should embrace these heritages as a common trove of cultural treasures that is a testament to the cross-cultural hybridization and people-to-people exchange that has been occurring between them generation after generation dating back to the pre-colonial era (Noor 2016). For instance, instead of competing over the ownership of the batik, it could be celebrated and promoted as a shared ASEAN heritage and serve as a social glue that enhances the sense of a regional identity. A collective ASEAN worldview can be forged through the use of these cultural markers. As Tan explains, “cultural markers are able to create meaning for the people’s world when interwoven into their lives in the forms of mundane experience, ordinary actions, and common sense” (Tan 2000). History education is also critical to the imaginaries of community building. Unfortunately, the current education systems of ASEAN states are not well-equipped to support such a venture (Koh 2007). As argued by Farish Noor, there is at present “no common history curriculum that captures the manifold overlaps and continuities in Southeast Asian history, or which reflects the manner in which many communities that exist in the region today are really the net result of centuries of inter-mingling, overlapping and hybridity” (Noor 2017: 9-15). Thus, member states will have to de-parochialize their curriculum and re-tailor them to educate and familiarize the young people of ASEAN about their shared historical-cultural roots. National histories have to shift away from a mono-logical retelling of events to one that teaches it in the broader context of the region that reminds the people of ASEAN of the numerous, intersecting historical and cultural ties that exists amongst them. Only through such efforts will there be greater understanding, awareness and appreciation of the region’s interconnectedness that will aid the people of ASEAN in shedding their “mental barriers” of exclusive national identities and develop a sentiment of common belonging and shared destiny. Despite the fact that the imperative to create a shared sense of ASEAN belonging and “we-feeling” comes from the political elites and bureaucrats of ASEAN themselves, it may remain a challenge to expect such a “mental leap” to be taken and led by them. By the nature of their role, interest and responsibilities, they are conditioned to act in a manner that is fixated on the protection of the territorial and economic sovereignty of their nation-states. It would be difficult to ask them to think otherwise. On the contrary, ordinary citizens at the grass-root level do not have their hands tied in the same manner. While ASEAN as a language game played by the political elites is not united by any geographical or historical linkages but rather material and political-economic interests, Southeast Asia remains an organic region where cultures, histories, language and ethnic identities overlap and cross-fertilize one another. As such, a “ground-up” approach may offer greater prospects in the creation of a sentiment of shared belonging and collective regional identity. Moreover, if ASEAN wishes to achieve the goals of closer integration, a collective ASEAN identity must be developed not just among the political leaders and bureaucrats but also the general population of the region. As Linklater rightly pointed out, “a genuine community involves identity amongst peoples and not just states” (Linklater 1990). Therefore, the sense of a common regional identity that has been argued to exist at the elite level by Acharya has to be broadened to include the ordinary people of ASEAN. However, as studies have shown, most people living in Southeast Asia remain largely unaware or remain ambivalent of the ASEAN community building initiative and would not identify themselves as a member of the ASEAN Community (Moorthy and Benny 2013; Thuzar 2015). This is hardly surprising given that the ASEAN community process remains largely state-centric and mostly elite-driven with little done thus far to draw in the citizenry into the ambit of regional interaction (Moorthy and Benny 2013). To reverse this, ASEAN must quickly shed its image as an exclusive club for the elite and maximize public participation if it wishes to build a genuine ASEAN community. Intra-regional people-to-people interaction at the ground level should therefore be highly encouraged. The formation of a collective identity and interest has to be shaped by intensive interaction at the ground level. Greater interaction between ASEAN citizens will definitely go a long way in helping them to take the “mental leap” required to develop a common sense of belonging that transcends national boundaries. Existing ASEAN professional bodies and civil societies whose mode of interactions have become regular and organic may be helpful in organizing and facilitating these interactions. The formal and informal networks formed by these organizations have shown to ignore the language game of exclusivity and instead cooperated for decades on regional issues (Tadem 2018). Thus, their networking should be promoted and governments should leverage on their experiences to develop social spaces that promote greater people-to-people interaction and cultural exchanges. These solidarity-building measures will eventually trickle down to the grass-root level and help construct a collective ASEAN identity. As ASEAN risks being undermined in an increasingly volatile, uncertain and complex global environment, it needs to re-define itself and build itself into a much closer ‘ASEAN Community of nations’. As this article has shown, this need for ASEAN to re-define itself emanates from the political elites of ASEAN themselves. To this end, ASEAN political elites have embarked on a project to build an integrated ASEAN Community anchored on a collective ASEAN identity. Since then, the ASEAN leaders have repeatedly acknowledged the necessity in fostering a sentiment of “we feeling” and shared belonging that will inform efforts towards regionalism and facilitate greater regional cooperation. Despite so, the political elites of ASEAN has thus far failed to develop a degree of “ASEAN consciousness” in both its bureaucrats and citizens that will nudge them to re-think themselves as a citizen of the wider ASEAN body. A lack of a real sense of shared belonging among the people of Southeast Asia to the ASEAN identity remains. A possible explanation for this absence of identification with the ASEAN identity is that the people of Southeast Asia continue to be trapped in a language game inherited from the colonial era which has defined national identities based on the notion of exclusivity and a worldview that accepts modern state boundaries as a given political reality. Any memory of pre-colonial affinities and common past that could have served as the foundation of a regional identity have also been erased. As national interests and identities predominate in ASEAN, it is an arduous task for the generation of the kind of “we-feeling” that is required for the building of a regional community as articulated in the ASEAN Vision 2020. As a result, the ASEAN Community and ASEAN Identity only exist in form but not in substance. For ASEAN to develop a collective identity that will lead to the formation of a genuine, shared ASEAN community, a significant “mental leap” must be taken by the citizens of ASEAN to internalize the logic of overlapping identities and re-imagine the region. As a starting point, the citizens of ASEAN will need to depart from their present understanding of the region’s history, accept the artificiality of the modern-day national boundaries and develop a greater awareness of the close historical and cultural linkages that exist among them. A revamp of history education in the region is critical in such a venture. In addition, despite the fact that the imperative to create a shared sense of ASEAN belonging and “we-feeling” comes from the political elites and bureaucrats of ASEAN themselves, it may remain a challenge to expect such a “mental leap” to be taken and led by them due to the nature of their role, interest and responsibilities. On the contrary, ordinary citizens at the grass-root level do not have their hands tied in the same manner. As such, a “ground-up” approach may offer greater prospects in the creation of a collective regional identity and go a long way in helping to develop a shared sense of belonging that transcends national boundaries. To do so, ASEAN must quickly shed its image as an exclusive club for the elite and maximize public participation if it wishes to build a genuine ASEAN community. As Benedict Anderson postulates on the possibilities of nation-states as imagined communities, so can a regional identity exist as an ontological object of the mind if Southeast Asians are able to re-imagine a contemporary Southeast Asia not solely defined by territorial borders and exclusive national identity (Anderson 1983). Farish Noor puts it succinctly: “Herein lies the fundamental existential challenge of ASEAN: making ASEAN deeply felt (we-feeling) and deeply owned (ours-feeling) by ASEAN peoples who have a deep sense of ASEAN commonality (we are in this together).” (Noor 2015). Yet, these challenges can be resolved if the seeds for a “mental leap” are sowed to make the ASEAN community an interconnected, living, breathing community again. Lee Jun Jie is a humanities educator in Singapore and a postgraduate alumni of the S. Rajaratnam School of International Studies, Nanyang Technological University. He is also a member of the Young Leaders Program of the Honolulu-based Pacific Forum. His research interests focus on Southeast Asian issues, particularly on its pre-colonial history, impact of colonial rule, separatism in the region, politics in Malaysia and the development of ASEAN. Acharya, Amitav. “The Evolution and Limitations of ASEAN Identity.” In ASEAN @ 50 Volume 4, Building ASEAN Community: Political-Security and Socio-cultural Reflections, edited by Aileen Baviera and Larry Maramis, 25-38. Jakarta: Economic Research Institute for ASEAN and East Asia, 2017. _____________. “Do norms and identity matter? Community and power in Southeast Asia’s regional order.” The Pacific Review 18, no. 1 (2005): 95-118. _____________. Regionalism and Multilateralism: Essays on Cooperative Security in the Asia Pacific. Singapore: Times Academic Press, 2002. _____________. Constructing a Security Community in Southeast Asia: ASEAN and the Problem of Regional Order. London: Routledge, 2001. _____________ and Allan Layug. “Collective Identity Formation in Asian Regionalism: ASEAN Identity and the Construction of the Asia-Pacific Regional Order.” Paper presented at Research Committee Sessions (RC06) – Theorising the Role of Identity in the Unfolding of Regionalism: Comparative Perspectives, International Political Science Association. A Collection of Statutes Relating to the East India Company. London: George Eyre and Andrew Strahan, 1810. Aguilar Jr, Filomeno. “Towards Community Formation in Southeast Asia? History Education, ASEAN and the Nation-State.” Journal of Social Issues in Southeast Asia 32, no.1 (March 2017): 137-169. Ahmad, Kassim. Hikayat Hang Tuah. Kuala Lumpur: Dewan Bahasa dan Pustaka, 1965. Andaya, Barbara Watson and Leonard Y. Andaya. A history of early modern Southeast Asia, 1400-1800. Cambridge: Cambridge University Press, 2015. Anderson, Benedict. Imagined community: Reflections on the Origin and Spread of Nationalism. London: Verso, 1983. Association of Southeast Asian Nation. “ASEAN Vision 2020.” Accessed 15 January, 2018. http://asean.org/?static_post=asean-vision-2020. Azmawati, Dian and Linda Quayle. “Promoting ASEAN Awareness at the Higher Education Chalkface.” Contemporary Southeast Asia: A Journal of International & Strategic Affairs 39, no. 1 (April 2017): 127-148. Biba, Sebastian. “China’s Continuous Dam building on the Mekong River.” Journal of Contemporary Asia 42, no. 4 (November 2012): 603-628. Caballero-Anthony, Mely. “Non-Traditional Security Challenges, Regional, Governance, and the ASEAN Political-Security Community (APSC).” Asia Security Initiative Policy Series Working Paper no. 7. Centre for Non-Traditional Security Studies, S. Rajaratnam School of International Studies, Nanyang Technological University, Singapore, September 2010. _______________. Regional Security in Southeast Asia: Beyond the ASEAN Way. Singapore: Institute of Southeast Asian Studies: 2005. Caporaso, James A. and Kim Min-hyung. “The Dual Nature of European Identity: Subjective Awareness and Coherence.” Journal of European Public Policy 16, no. 1 (2009): 19–42. Central Intelligence Agency. “The World Factbook.” Accessed 25 January, 2018. https://www.cia.gov/library/publications/resources/the-world-factbook/. Chang, Jun Yan. “Essence of security communities: explaining ASEAN.” International Relations of the Asia-Pacific 16, no.3 (September 2016): 335-369. Chaudhuri, K.N. Asia Before Europe: Economy and Civilisation of the Indian Ocean from the Rise of Islam to 1750. Cambridge: Cambridge University Press, 1990. Chew, Amy. “Malaysia reject proposal by Philippine government committee to claim Sabah as ‘13th federal state’.” Channel NewsAsia, January 31, 2018. https://www.channelnewsasia.com/news/asia/malaysia-rejects-proposal-by-philippine-government-committee-to-9913514. Chong, Jinn Winn. “’Mine, Yours or Ours?’: The Indonesia-Malaysia Disputes over Shared Cultural Heritage.” Journal of Social Issues in Southeast Asia 27, no. 1 (April 2012): 1-53. Christie, Clive J. 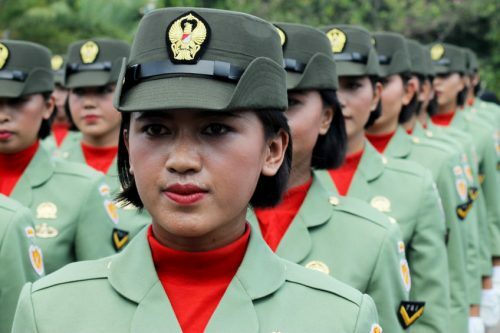 A Modern History of Southeast Asia: Decolonization, Nationalism and Separatism. London: Tauris Academic Studies, 1996. Collins, Alan. “Forming a security community: lesson from ASEAN.” International Relations of the Asia-Pacific 7, no. 2 (May 2007): 203-225. Denoon, David B.H. and Evelyn Colbert. “Challenges for the Association of Southeast Asian Nations (ASEAN).” Pacific Affairs 71, no.4 (Winter 1998-1999), 505-523. Desker, Barry and Ang Chen Guan. Perspectives on the Security of Singapore: The First 50 Years. Singapore: World Scientific, 2015. Deutsch, Karl Wolfgang et al. Political Community and the North Atlantic Area: International Organization in the Light of Historical Experience. New Jersey: Princeton University Press, 1957. Economic Research Institute for ASEAN and East Asia. “Engendering a Deep Sense of ASEAN Identity and Destiny.” In Framing the ASEAN Socio-Cultural Community Post-2015, ERIA Research Project Report 2014-01, edited by Intal, Jr. P., V. Anbumozhi, F. Zen, H. Nishimura and R. Prassetya, 209-231. Jakarta: Economic Research Institute for ASEAN and East Asia, 2014. Emmerson, Donald K. “Security, Community, and Democracy in Southeast Asia: Analyzing ASEAN.” Japanese Journal of Political Science 6, no. 2 (August 2005): 165-185. Heng, Michael S. H. Heng. “Advancing Community Building for ASEAN.” East Asia 32, no. 4 (December 2015), 421-440. Hirschman, Charles. “Ethnic Diversity and Change in Southeast Asia.” In Population, Ethnicity and Nation Building, edited by Calvin Goldscheider, 19-36. Boulder: Westview Press, 1995. Hooghe, Liesbet and Gary Marks. “Does Identity or Economic Rationality Drive Public Opinion on European Integration?” PS: Political Science and Politics 37, no. 3 (2004): 415–420. Indigenous Knowledge and Peoples Network for Capacity Building in Mainland Montane South-East Asia (IKAP) Network for Capacity Building in Mainland Southeast Asia. “Map of Ethnic Groups in MMSEA.” May 2005. Jones, Catherine. “Great powers, ASEAN, and security: reason for optimism?.” The Pacific Review 28, no. 2 (May 2015): 259-280. Jones, David Martin & Michael L. R. Smith. _____________. “Making Process, Not Progress: ASEAN and the Evolving East Asian Regional Order.” International Security 32, no. 1 (Summer 2007): 148-184. _____________. “ASEAN’s imitation community.” Orbis: A Journal of World Affairs 46, no. 1 (2002): 93-109. Jones, Michael E. “Forging an ASEAN Identity: The Challenge to Construct a Shared Destiny.” Contemporary Southeast Asia 26, no. 1 (April 2004): 140-154. Khoo, How San. “ASEAN as a Neighborhood Watch Group.” Contemporary Southeast Asia 22, no.2 (August 2000): 279–301. Kim, Min-hyung. “Theorizing ASEAN Integration.” Asian Perspective 35, no. 3 (July-Sept 2011): 407-435. Kingsbury, Damien. “Post-colonial states, ethnic minorities and separatist conflicts: case studies from Southeast and South Asia.” Ethnic & Racial Studies 34, no. 5 (May 2011): 762. Koh, Aaron. “Deparochializing Education: Globalization, regionalization, and the formation of an ASEAN education space.” Discourse: studies in the cultural politics of education 28, no. 2 (June 2007): 179-195. Kurlantzick, Joshua. “ASEAN’s Future and Asian Integration.” International Institutions and Global Governance Program Working Paper. Council of Foreign Relations, November 2012. Linklater, Andrew. “The Problem of Community in International Relations.” Alternatives: Global, Local, Political 15, no. 2 (Spring 1990): 150–51. Lubis, Abdur-Razzaq. “Mandailing-Batak-Malay: A People Defined and Divided,” In From Palermo to Penang, A Journey into Political Anthropology, edited by Francois Ruegg and Andrea Boscoboinik. Berlin: Lit Verlag, 2010. Mayer, Franz C. and Jan Palmowski. “European Identities and the EU-The Ties That Bind the Peoples of Europe.” Journal of Common Market Studies 42, no. 3 (2004): 573–598. Mcintyre, Angus. “The ‘Greater Indonesia’ Idea of Nationalism in Malaya and Indonesia.” Modern Asian Studies 7, no. 1 (January 1973): 75-83. McMillan, David W. and David M. Chavis. “Sense of community: A definition and theory.” Journal of Community Psychology 14, no. 1 (January 1986): 6-23. Moorthy, Ravichandran and Guido Benny. “Does public opinion count? Knowledge and support for an ASEAN community in Indonesia, Malaysia, and Singapore.” International Relations of the Asia-Pacific 13, no. 3 (September 2013): 399-423. _____________. “Is an “ASEAN Community” Achievable?” Asian Survey 52, no. 6 (November/December 2012): 1043-1066. Morgan, James. “Bajau Laut: Last of the Sea Nomads.” Accessed February 20, 2018. https://jamesmorgan.co.uk/features/bajau-laut-sea-nomads/. Munster, Sebastian. “Map of Asia.” In Cosmographia, 1598. Murti, Gita. “ASEAN’s “One Identity and One Community”: A Slogan or a Reality?” Yale Journal of International Affairs, March 14, 2016. Narine, Shaun. “ASEAN in the twenty-ﬁrst century: a sceptical review.” Cambridge Review of International Affairs 22, no. 3 (September 2009), 369-386. _____________. “State sovereignty, political legitimacy and regional institutionalism in the Asia-Pacific.” The Pacific Review 17, no. 3 (2004): 423-450. _____________. Explaining ASEAN: Regionalism in Southeast Asia. London: Lynne Rienner Publishers Inc, 2002. Nischalke, Tobias. “Does ASEAN measure up? Post-Cold War diplomacy and the idea of regional community.” The Pacific Review 15, no. 1 (February 2002): 89-117. Noor, Farish A. “ASEAN Identity, Now and into the Future: The interactions across borders in Southeast Asia.” In 50 years of ASEAN – Still Waiting for Social and Ecological Justice, edited by Fransiskus Tarmedi, Julia Behrens and Manfred Hornung, 9-15. Bangkok: Heinrich Böll Stiftung Southeast Asia, 2017. _____________. The Discursive Construction of Southeast Asia in 19th Century Colonial-Capitalist Discourse. Amsterdam: Amsterdam University Press, 2016. _____________. “Shared Cultures and Shared Geography: Can There Ever Be a Sense of Common ASEAN Identity and Awareness?” ERIA Discussion Paper Series, Economic Research Institute for ASEAN and East Asia, November 2015. _____________. “Trauma and History: Accepting Complexity in the Past and the Present.” In Trauma, Memory and Transformation: Southeast Asian Experiences, edited by Sharon A. Bong. Malaysia: Strategic Information and Research Development Centre, 2014. _____________. “How Indonesia sees ASEAN and the world – a cursory survey of the social studies and history textbooks of Indonesia, from primary to secondary level.” RSIS Working Paper no. 233. S. Rajaratnam School of International Studies, Nanyang Technological University, Singapore, 22 February 2012. Oba, Mie. “ASEAN and the Creation of a Regional Community.” Asia-Pacific Review 21, no.1 (June 2014): 63-78. Pham, Quang Minh. “In Search of an ASEAN Identity.” The Work of the 2010/2011 API Fellows, 171-179. Prasetyono, Edy. “Traditional Challenges to States: Intra-ASEA Conflicts and ASEAN’s Relations with External Powers.” In People’s ASEAN and Governments’ ASEAN, edited by Hiro Katsumata and See Seng Tan, 109-116. Singapore: S.Rajaratnam School of International Studies, 2007. Puchala, Donald J. “The Integration Theorists and the Study of International Relations.” In The Global Agenda: Issues and Perspectives, edited by C.W. Kegley and E.M. Wittkopf, 186-187. New York: Random House, 1984. Rahim, Lily Zubaidah. Singapore in the Malay World: Building and Breaching Regional Bridges. London: Routledge, 2009. Reid, Anthony Reid. A history of Southeast Asia: critical crossroads. Chichester, West Sussex: John Wiley & Sons Inc., 2015. Roberts, Christopher. “Region and Identity: The Many Faces of Southeast Asia.” Asian Politics & Policy 3, no. 3 (July 2011): 365-382. _____________. “The ASEAN Community: Trusting Thy Neighbour?” RSIS Commentaries, Southeast Asia and ASEAN, October 22, 2007. Severino, Rodolfo C. “A Sense of Community for Southeast Asia.” In People’s ASEAN and Governments’ ASEAN, edited by Hiro Katsumata and See Seng Tan, 17-24. Singapore: S.Rajaratnam School of International Studies, 2007. _____________. Southeast Asia in search of an ASEAN Community. Singapore: Institute of Southeast Asian Studies, 2006. Sharpe, Samuel. “An ASEAN way to security cooperation in Southeast Asia?.” The Pacific Review 16, no. 2 (March 2003): 231-250. Sim, Royston. “Pedra Blanca: ICJ to hear Malaysia’s challenge in June.” The Straits Times, April 7, 2018. http://www.straitstimes.com/politics/pedra-branca-icj-to-hear-malaysias-challenge-in-june. Smith, Anthony L. “ASEAN’s Ninth Summit: Solidifying Regional Cohesion, Advancing External Linkages.” Contemporary Southeast Asia 26, no. 3 (December 2004): 416-433. Steinberg, David Joel. In search of Southeast Asia: a modern history. Kuala Lumpur: Oxford University Press, 1971. Tadem, Eduardo C. “New Perspectives on Civil Society Engagement with ASEAN.” Heinrich Böll Stiftung. Accessed February 1, 2018. https://www.boell.de/en/2017/08/02/new-perspectives-civil-society-engagement-asean. Tajfel, Henri. Human Groups and Social Categories: Studies in Social Psychology. Cambridge: Cambridge University Press, 1981. Tan, Chee-Beng. “Ethnic Identities and National Identities: Some Examples from Malaysia.” Identities 6, no. 4 (January 2000): 441-480. The Edinburgh Annual Register for 1824. London: Archibald Constable & Co, 1825. Thuzar, Moe. 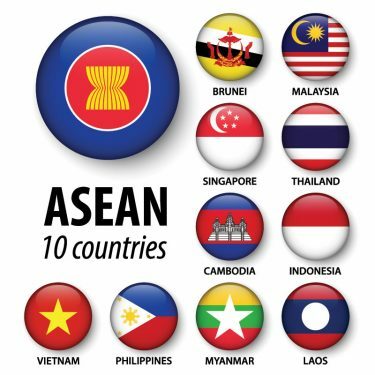 “An Update of ASEAN Awareness and Attitudes – A Ten Nation Survey Fact Sheet of Key Findings.” Institute of Southeast Asian studies, August 2015. Vatikiotis, Michael R.J. “ASEAN 10: The Political and Cultural Dimensions of Southeast Asian Unity.” Southeast Asian Journal of Social Science 27, no. 1 (1999): 77-88.Vejjajiva, Abhisit. “The Critical Importance of Socio-cultural Community for the Future of ASEAN.” In ASEAN @ 50 Volume 1, The ASEAN Journey: Reflections of ASEAN Leaders and Officials, edited by Surin Pitsuwan, Hidetoshi Nishimura, Ponciano Intal, Jr., Kavi Chongkittavorn, and Larry Maramis, 89-102. Jakarta: Economic Research Institute for ASEAN and East Asia, 2017. Weatherbee, Donald E. “Southeast Asia and ASEAN running in place.” In Southeast Asian Affairs 2012, edited by Daljit Singh and Pushpa Thambipillai, 3-22. Singapore: Institute of Southeast Asian Studies, 2012. Yoshimatsu, Hidetaka. “ASEAN and evolving power relations in East Asia: strategies and constraints.” Contemporary Politics 18, no. 4 (November 2012): 400-415. In January 2003, Cambodian news media falsely alleged that a claim has been made by a prominent Thai actress that Angkor belonged to Thailand. This sparked riots which was fueled by politicians from the governing party, Cambodian’s People Party and resulted in the burning and vandalizing of Thai embassy and business properties in Phnom Penh.